This page includes a listing of significant recent research funding. 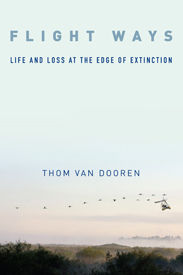 We are living in the midst of a period of mass extinction. This multi-sited project aims to explore the cultural, political and ethical dimensions of biodiversity loss in three of the world’s ‘extinction capitals’. Through an innovative interdisciplinary approach that brings ethnographic research into dialogue with philosophy and the natural sciences, the project asks how the loss of species, and efforts to prevent these losses, shape the contours of local people’s lives and the landscapes they inhabit. This project also mobilises this research in a series of public-facing interventions that aim to cultivate community understanding of why and how extinctions matter, while developing resources for an engaged public environmental humanities. This project explores cultural dimensions of the mass extinction event now taking place globally. We take a multi-sited field research approach to investigate five biosocial contexts across the Asia-Pacific region, each focussing on a particular animal now sliding into extinction. We investigate people’s responses to and effects on extinction events in their local neighbourhood. Responding to calls from biological scientists for humanities scholars to develop research into the extinction crisis, we address two main questions: how are human communities entangled in current extinction events, and how are people imagining, articulating, and taking responsible and practical action concerning these catastrophes.